Do you operate your business from home, live in shared accomodation, travel regularly or need a confidential mailing address? If you answer yes to any of these then we can help! We can provide you with a secure address and locked mailbox for your mail to be delivered to, you can call to check whether you have received any mail and collect at a time which is more convenient to you. If you run a business from home you can give your company a professional image, plus if security is an issue then you can have the anonymity of a mailbox. If you live in shared accomodation you can avoid the risk of important mail and small packages going missing. If you only have a temporary address we can provide you with a more permanent base for you mail to be delivered to. 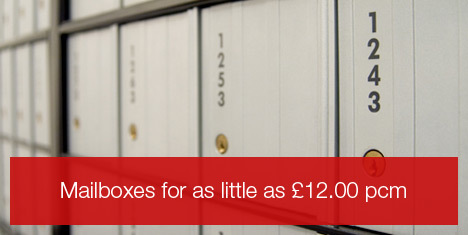 With prices starting from as little as £12.00 per month, can you afford to not use a mailbox? Mailbox service is currently only available at our King's Lynn and Thetford branches. Minimum rental period of one month, if you wish to cancel your mailbox before the end of your rental period you must provide two weeks written notice. Fees are non-refundable. Misuse of the Mailbox, The mailbox must not be used for any illegal or fraudulent purpose. It shall not be used for the purpose of obtaining finance or credit.